The MICA air-to-air “Beyond Visual Range” (BVR) interception, combat and self-defense missiles, in their IR (heat-seeking) and EM (active radar homing) versions. The MICA can be used within visual range (WVR) and beyond visual range (BVR). The HAMMER (standing for Highly Agile and Maneuverable Munition Extended Range) modular, rocket-boosted air-to-ground precision guided weapon series, fitted with INS/GPS or INS/GPS/IIR (imaging infra-red) guidance kits, or with the upcoming INS/GPS/laser guidance kit. The upcoming METEOR long-range air-to-air missile. The Rafale’s stores management system is Mil-Std-1760 compliant, which provides for easy integration of customer-selected weapons. With its 10-tonne empty weight, the Rafale is fitted with 14 hard points (13 on the Rafale M). Five of them are capable of drop tanks and heavy ordnance. Total external load capacity is more than nine tonnes (20,000 lbs.). “Buddy-buddy” refuelling missions can be carried out in portions of the airspace out of reach of dedicated and vulnerable tanker aircraft. 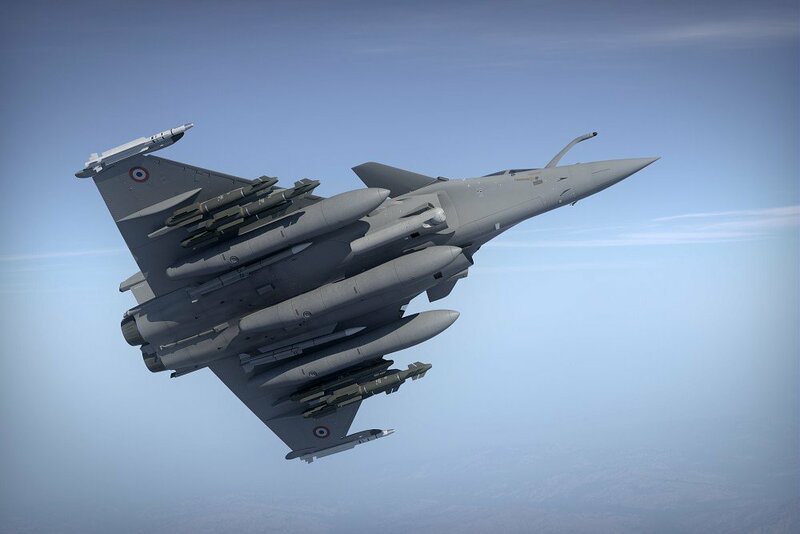 With its outstanding load-carrying capability and its advanced mission system, the Rafale can carry out both air-to-ground strikes, as well as air-to-air attacks and interceptions during the same sortie. It is capable of performing several actions at the same time, such as firing air-to-air missiles during a very low altitude penetration phase: a clear demonstration of the true “Omnirole” capability and outstanding survivability of the Rafale. 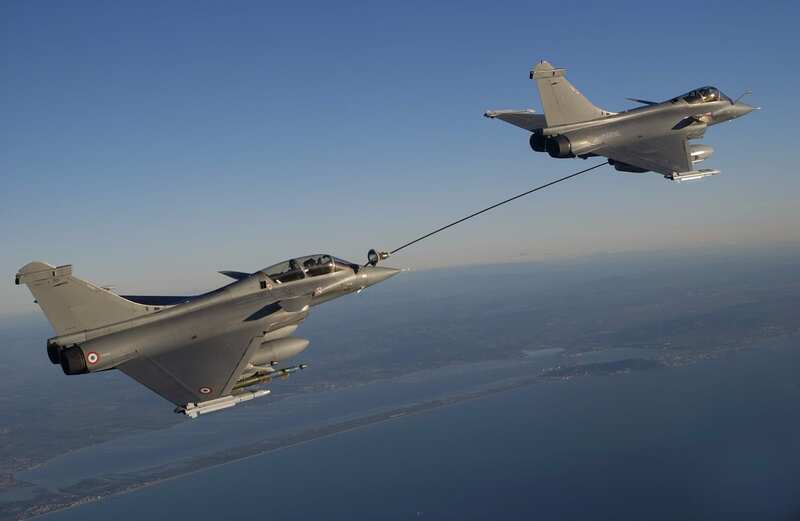 In-flight refuelling of a Rafale from another Rafale fitted with a "buddy" refuelling pod.